Precipitation varies depending on where you live. If you reside in an area of high rain or snowfall, you must top your home with slanting roofs. This is to redirect water and snow off your roof, preventing pooling and costly damages in the future. 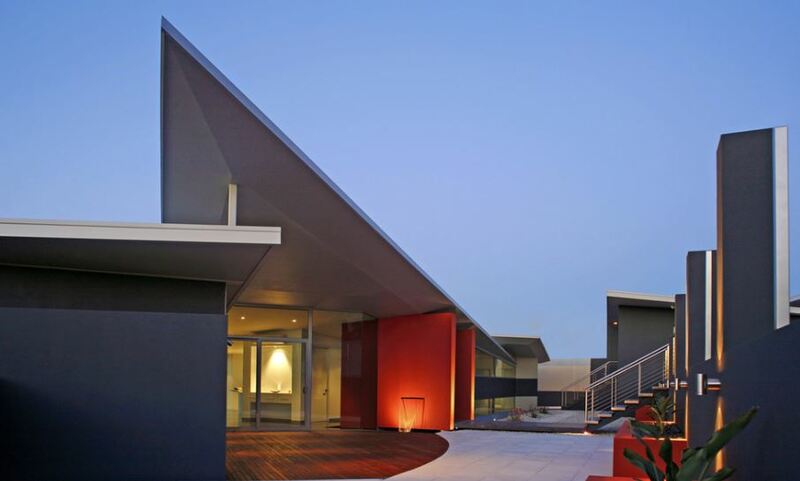 Skillion is an angled flat roof, commonly built on modern homes. It’s also a popular roof style for home additions, porches, and sheds. 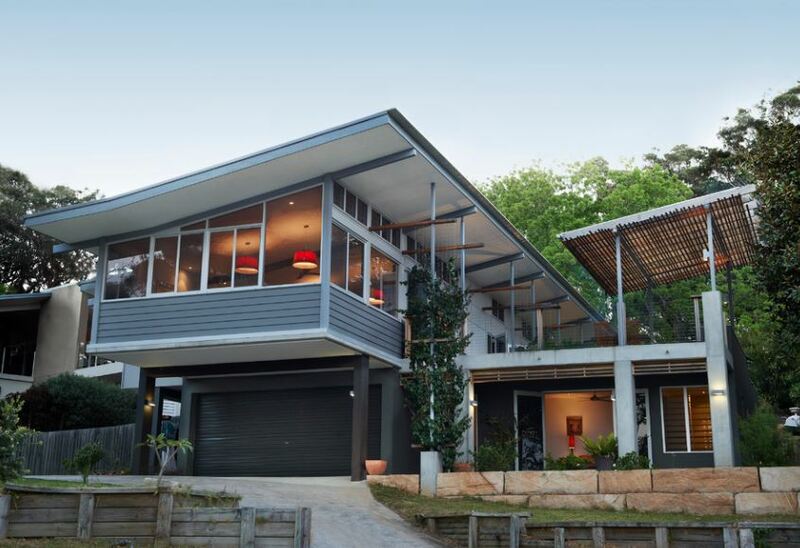 Skillion roofs can be mono-pitched or split. The mono-pitched consists of a single roof plane angled in one direction. The split, on the contrary, uses two separate non-intersecting planes. Excellent choice for homes in rainy and snowy regions. Pitching the roof too high will give you lower ceilings on one side of the house. 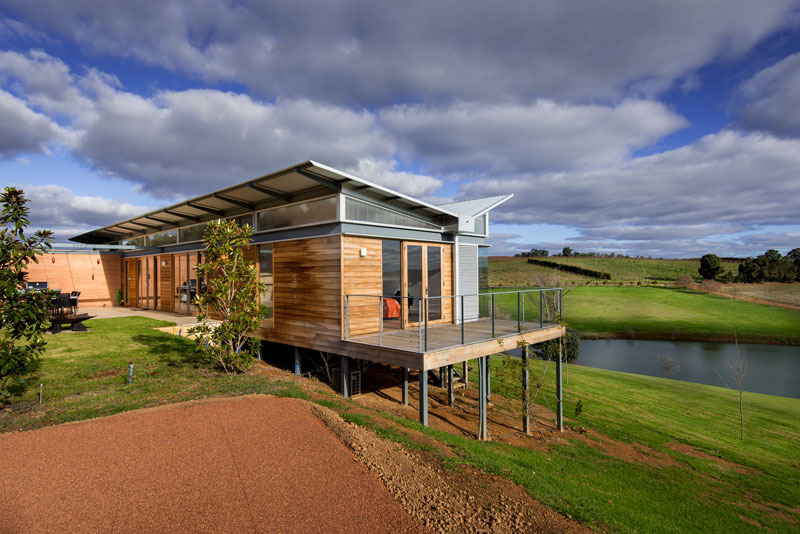 Using skillion roof alone is not recommended for homes in areas experiencing strong winds. This type of roof provides space for clerestory windows. Install it on the side with higher ceilings, right under the eaves of your roof. This results in an influx of natural light in the house. 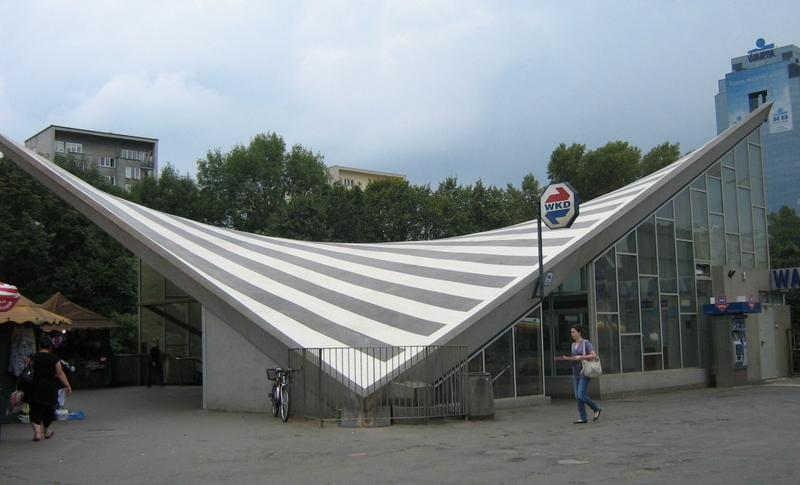 As you can see, this roof is V-shaped and looks like the wings of a butterfly in flight. It consists of two tandem planes that slant down towards each other. Angled up on the outside, this roof allows the use of larger windows on more than one side of the house. This makes the interiors more open to nature. It reduces the need for artificial heating during winter too. The valley formed at the intersection of the roof helps you collect and recycle rainwater. All you need is a system that redirects the water to your reservoir. The angled roof is perfect for mounting solar panels. It’s complex and expensive to build. The upfront costs are greater compared to conventional roofs. Maintaining the roof is pricey. There are no traditional gutters on the side of the house to collect dried leaves and dirt. Everything will slide down to the centre. Installing huge windows in homes located in areas with a warmer climate is not recommended. Consider waterproofing your roof. This is to avoid leaks which might weaken the roof. Use a solid and continuous membrane with no seams to keep it watertight. 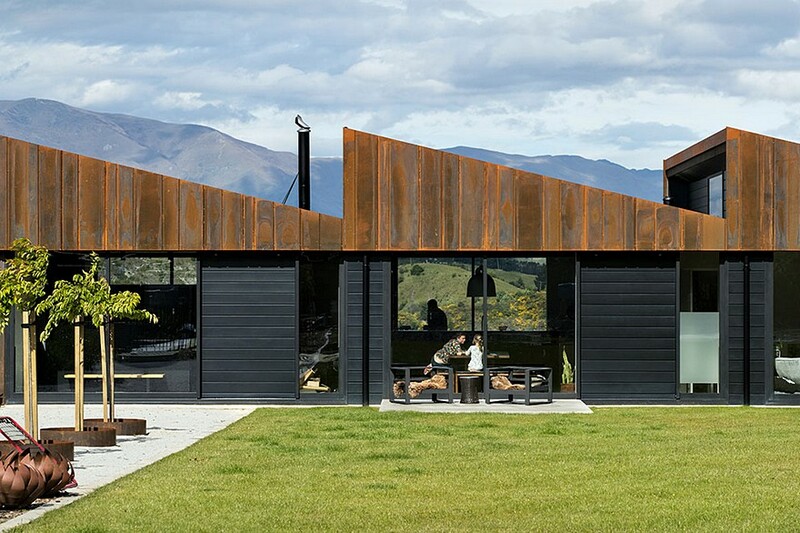 As the name suggests, this roof looks like the teeth of a saw blade. Here, the vertical and sloped surfaces alternate. Architects usually install vertical glass windows that meet with the pitched roof to allow more daylight and warmth inside the structure. Having multiple slopes, this roof is great for mounting solar panels and for daylighting. The peaks allow you to build stunning loft interiors or vaulted ceilings. It’s complex, expensive to build, and high-maintenance. Installing glass windows on the sloped ceilings isn’t advisable in areas that experience heavy snowfall. Water might leak or the weight of the snow might crack the glass. Think about using timber, steel, or reinforced concrete to build this type of roof. These materials are easy to work with and will make the construction easier. An oblique roof is steeply pitched and appears to reach out to the sky above it. It’s a statement roof applied to both residential and commercial buildings. adds to the height of the ceiling, increasing the size of the window and allowing more natural lights stream into brightening up the rooms inside. The extended roof shelters the outdoor entertaining area under it. It gives the house a bold and strong character. Building these slanting roofs will demand lots of work hours (planning + construction) and materials. Oblique roofs are much heavier compared to other sloping roof styles. Your architect will need the help of a structural engineer to ensure the integrity of the building. The saddle roof curves both ways. It follows a convex curve about one axis and a concave curve about the other. It resembles seat used at the back of a horse, with edges that look stretched from corner to corner. This roof is ideal for homeowners who want an open, light, and economic houses. 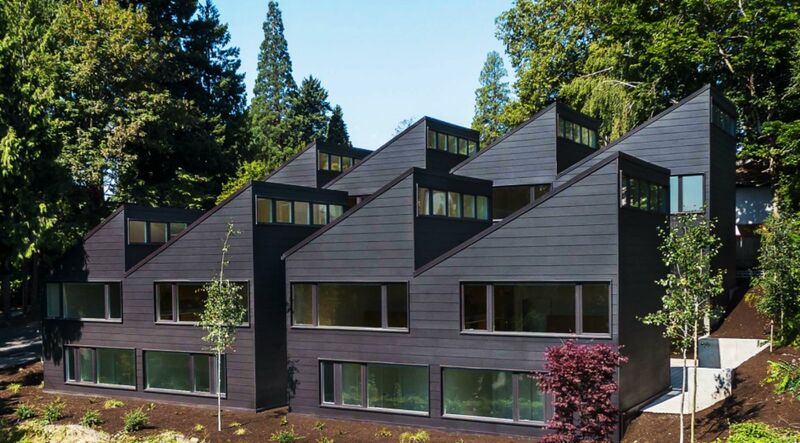 The shape of these slanting roofs is organic. 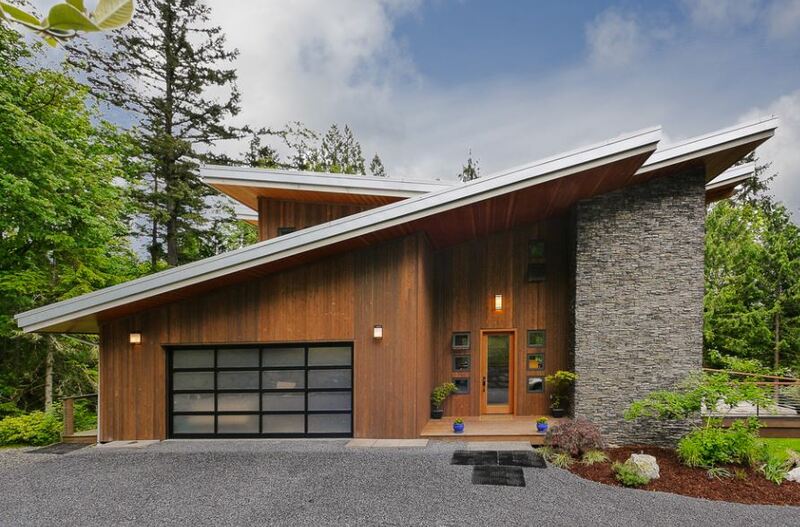 Snowmelt and rainwater will effortlessly slide off the roof. 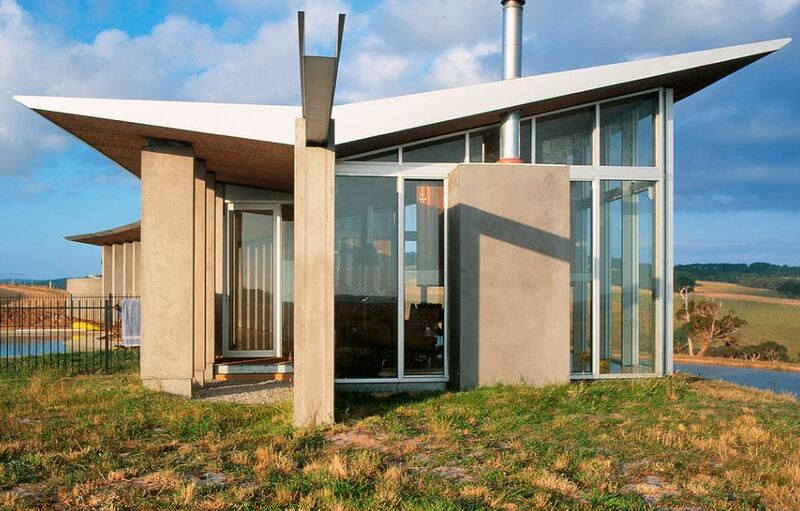 Because of its tensioned and curved structure, it needs minimal contact with exterior walls and fewer internal support. You need fewer building materials to make it stable. You can mimic this roof design using industrial-grade fabric to shelter small outdoor areas. Building this type of roof will demand lots of work hours (planning + construction). You want to make sure that water pooling and snow build-up on the roof is impossible. It’s hard to mount solar panels on this roof. If you want to make this roof more sustainable, consider using solar roof tiles. There are sleek models that you can lay over and integrate discreetly onto your roof. For more details on how to build sloping or slanting roofs for your home or industrial building, talk to the architects of Superdraft. Every home and structure is different. You may want to receive a more personalised advice on the best roof design for you.